Awarded to a graduating U.S. high school senior who has been accepted to and will be enrolled in an aviation degree core program at their chosen college/university. Apply by completing the 2019 Stimpson Scholarship Form. The Wichita Aero Club established the Edward W. Stimpson scholarship in 2012 in memory of the late President of GAMA and ICAO Ambassador to provide an annual award for applicants who seek to make a significant contribution to the aviation industry upon completion of their education. Contact Wichita Aero Club for more information about how to apply. 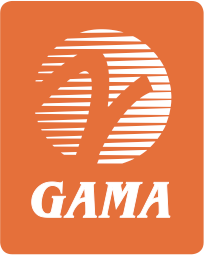 The ICAS Foundation has joined with GAMA to provide assistance to students seeking an aviation-related degree. Eligible students are those who are enrolled in an aviation-related degree program, such as professional pilot, maintenance/engineering, or aviation business. The applicant must have completed at least two semesters in an aviation-related declared major, with a demonstrated ability and intention to complete their degree. Go to the ICAS Foundation website to apply for this award. CHC Helicopter and Sikorsky have partnered to offer a number of grants for students to apply to to attend the 2018 CHC Safety & Quality Summit in Dallas in October 2018. This partnership will support students with fully-funded travel and entrance to a renowned industry safety event, as well as a place on one of the leading Human Factors training courses in aviation. Applications are due by May 20, 2018. Learn more and access the application. Whirly-Girls International is a nonprofit, educational and charitable organization dedicated to advancing women in helicopter aviation. The organization offers 16 scholarships for a variety of initiatives and training in general aviation. Scholarship Amounts: ranges from $950 to $14,000, depending on the scholarship. Applicants must be a Whirly-Girl or female associate member. Go to the Whirly-Girls website for more information.